From 1987 until today consistently and responsibly. The Tourist Office of travel tourism & Variamis with founder and President of Raphael Bariami Group offers travel and not just services. 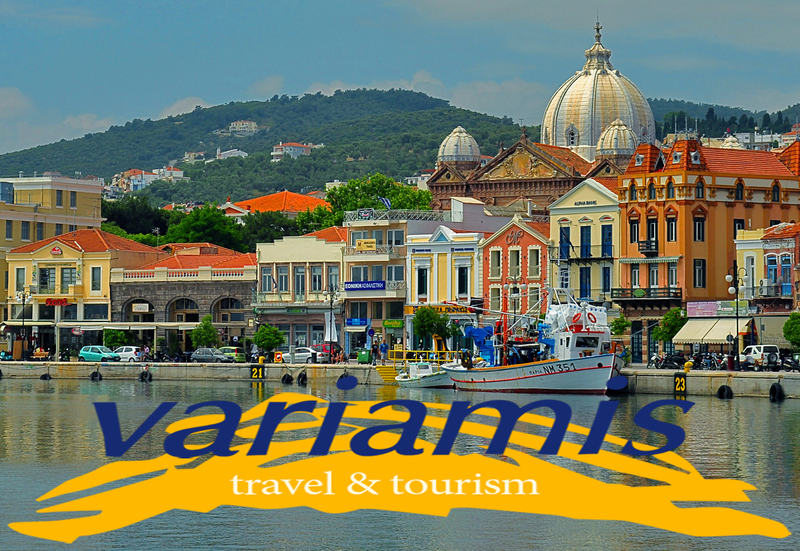 Today that technology tends to limit human relations, the Variamis tourist office insists that the travel service is outstanding service from humans to humans.The Variamis Travel leverages technology and provides instant, reliable and professional service with two fully equipped offices in Mytilene, at 8th, Kavetsou str and 1st, Tz. Aristarchou st,connected online with the largest airline reservations systems and boat tickets and hotels to the known friendly personal service. With specialization and continuous training of its executives, provides from the most simple to the most complex travel and tourist services and ensure that each trip to be a comfortable and pleasant experience. For a faster response to any demand has organized the delivery of services in specialized sections. The Tourist Office Variamis owns 12 coaches from 9 -55 posts and especially coaches for vip transport. Experienced and gentle drivers will transfer you safely to any trip – your transfer. Yet it offers rental cars in each category. The main objective of Variamis tourist office is the customer service. Executives in every department is always available 24 hours a day 7 days a week all year round for the full service. The property of tourist office Variamis belong the MYRIVILI s.a. with occupation imports and exports as well as the cafe - restaurant Island ,engaged in mass catering.